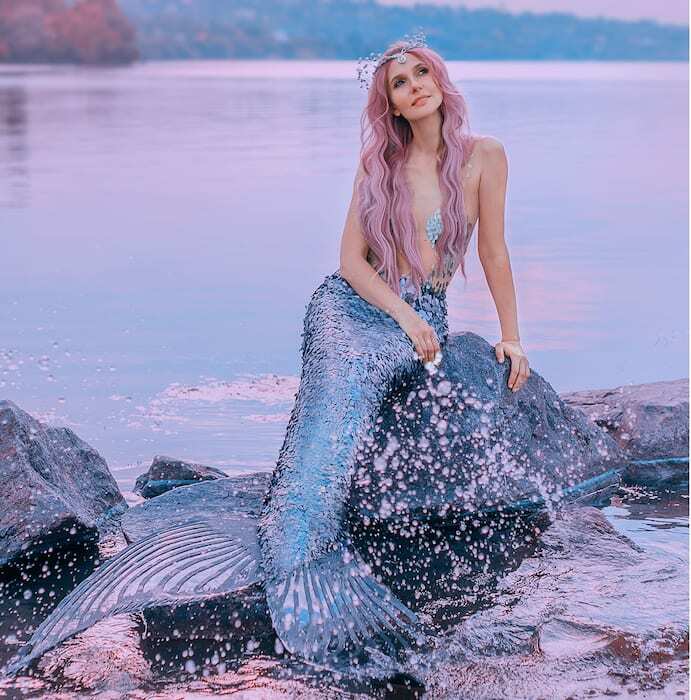 Mermaid fans will want to know about this rather quirky upcoming event at intu Trafford Centre. 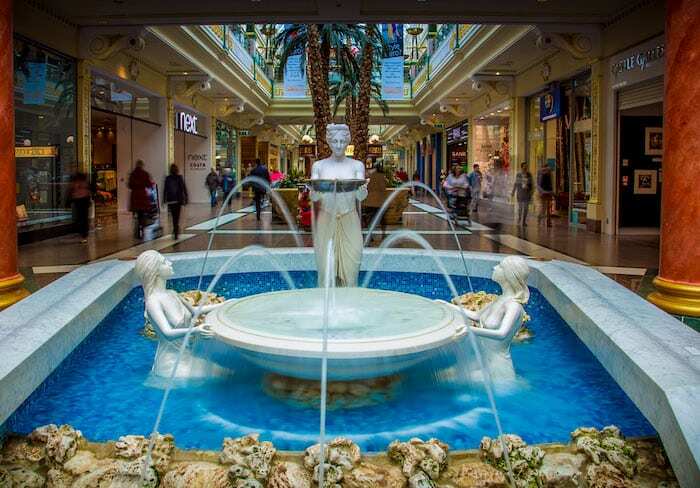 For the shopping mall’s iconic fountains are going to be visited by a medley of singing mermaids for a series of special events this month. The musical mermaids will first pop up next week – on Valentine’s Day at 5.30pm, 6.30pm, 7.30pm and 8.30pm, entertaining romantic shoppers with a repertoire of love songs ranging from George Ezra to Sam Smith. 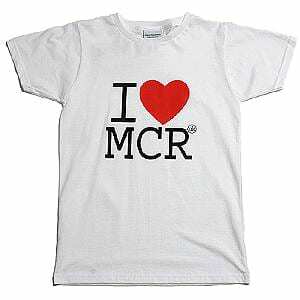 Then, shoppers can look out for repeat performances the following week on Tuesday 19th and Thursday 21st February at 12pm, 1pm, 2pm and 3pm at the Circle fountain outside Debenhams on lower Regent Crescent. The magical mermaids provide parents with the perfect opportunity to entertain and excite musical-loving children during the February half term holiday. Viewers are invited to sing along to their hearts’ content during the performances, with children’s favourite tunes including Somewhere Beyond the Sea and even Baby Shark. Alison Niven, regional centre director at intu Trafford Centre, said: “The architecture and décor of intu Trafford Centre gives us a wonderful backdrop with which to surprise and delight our shoppers. 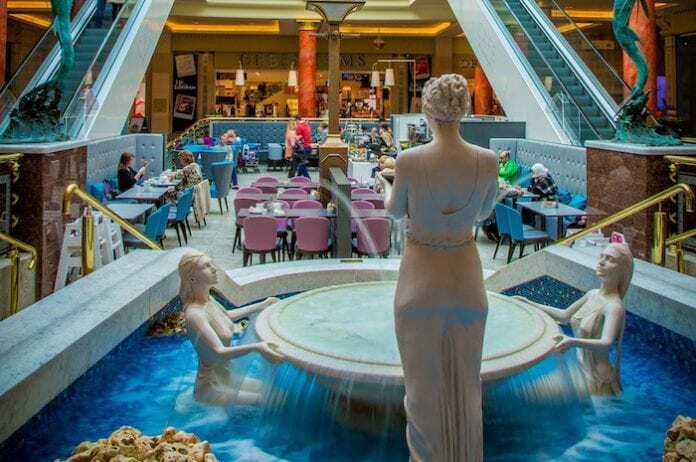 There are 14 fountains at intu Trafford Centre, all featuring iconic figures including mermaids, water nymphs, water-shooting dolphins and much more. Over £600,000 has been raised by the centre from coins thrown into the fountains by shoppers – all donated to local causes via the Fountain Fund. 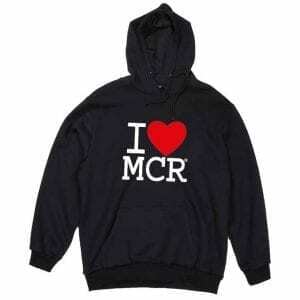 Three local charities are chosen by shoppers every year to receive the coins – 2019’s charities are the Army Benevolent Fund, Trafford Domestic Abuse Service and Once Upon a Smile. Members of intu’s family club will also be given £1 off Boost and The Shake Lab’s new mermaid-themed drinks, available 18th-24th February. The Mermaid Shake (milk, ice-cream, strawberries, blue cream and sprinkles) will be priced at £4.50, or £3.50 for family club members. The Magical Mermaid Boost (strawberry yoghurt, milk, apple juice, raspberries and blueberries) will be £4.85, or £3.85 for family club members.